The combination of Sandra Allan and Rebecca Murphy, along with the Premier Franchise of Berkshire Hathaway Home Service Arizona Properties, will help you reach all aspects of your real estate goals. Dedicated to Exceptional Client Service, The Allan & Murphy Group was formed to provide the teamwork necessary to deliver the unsurpassed service required for client satisfaction from start to finish in any real estate transaction. Sandra & Rebecca are insightful about today’s market, enthusiastic about educating clients on current trends, and use their knowledge to provide honest guidance in navigating the process of buying or selling a home. They are passionate full time realtors with a diligent work ethic, dedicated to quick communication times, will not be out negotiated, and are committed to getting the results YOU deserve! 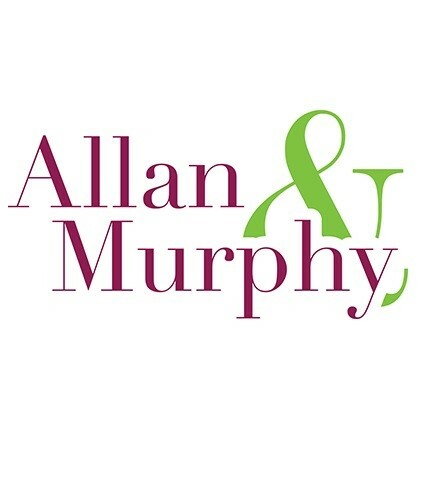 The Allan & Murphy Group makes it their mission to represent you with the strongest market knowledge, negotiation skills, and top-notch marketing techniques. Our goal of maximum sales price in the fewest days on market are achieved by extensive first-hand knowledge of current inventory, detailed price analysis of the present-day market, and attentive presale home preparation. We put together cutting edge marketing plans tailored to each individual property, use the latest technology to maximize exposure, and maintain a global presence. We have an extensive network to promote your property and maintain access to current buyers. We make it our mission to represent and protect our sellers and their homes every step of the way. Sandra & Rebecca love to work with buyers! Rather than specialize in one area of the valley, we have all-encompassing knowledge of the lifestyle and amenities in a vast area of the valley. We listen carefully while taking an inventory of your needs and lifestyle requirements. We expose you to many different communities that might be suitable for your home search. Our goal is to educate you thoroughly so you’ll be confident we can find you the best home, in the best location, at the best possible price! Our extensive network allows us access to homes before they come on the market. 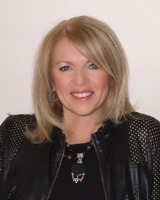 Sandra Allan is a successful Associate Real Estate Broker with over fifteen years of experience specializing in the Resort and Residential Luxury Real Estate Market. She holds a Bachelor of Science Degree in Business Administration with a concentration in Marketing from Montclair State College. Committed to meeting the needs of her clients, she has completed advanced training and achieved the designation of GRI, Graduate of the Real Estate Institute, CLHMS, Certified Luxury Home Marketing Specialist, and CIPS, Certified International Property Specialist & is a Relocation Specialist. Sandra is licensed in both Arizona and Colorado giving her the ability to network between Vail, Aspen, and Scottsdale. In her spare time, she enjoys hiking, skiing and golf. Rebecca Murphy has been a resident of Arizona since 2008. She launched a successful real estate career after teaching high school business classes and serving as the Director of an International Baccalaureate Program. She holds a Bachelor of Science in Education and a Master of Science in Economics both from the University of Kansas. She has advanced training as a Certified International Property Specialist, Relocation Specialist, and through the Moving Families Initiative. She & her husband enjoy hiking, play golf when time allows, and currently learning pickle ball. Rebecca is an active member of the Arizona Chapter of the Kansas University Alumni Association and rarely misses a Jayhawk basketball game.